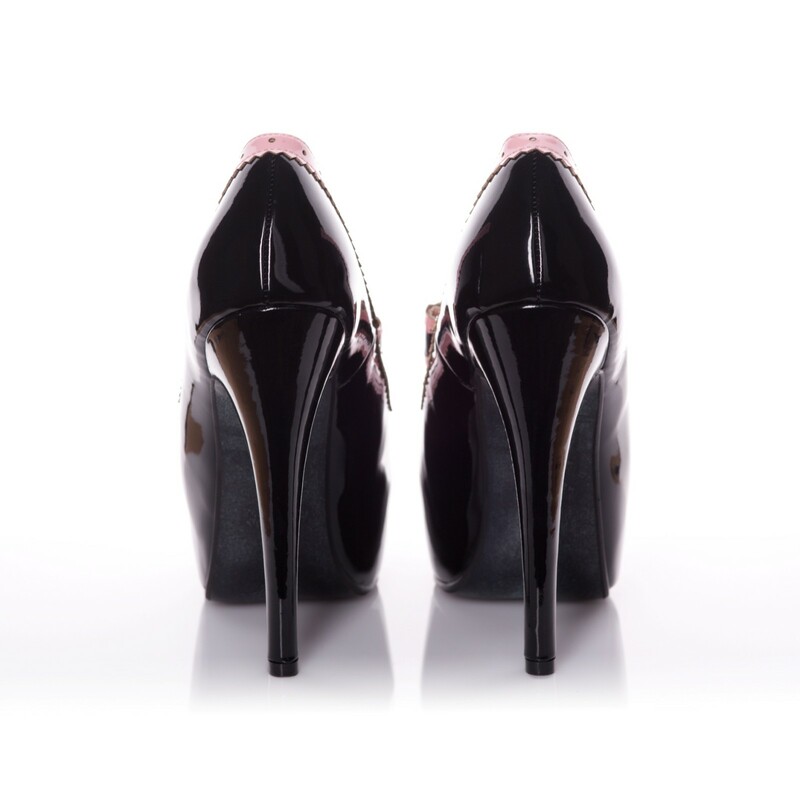 This black and pink patent high heel pump features some really unique detailing. At the front of the shoe there is a peep toe, which is trimmed with contrast pink. The instep is surrounded by a beautiful pink contrast trim, with zig zag and hole punch detail. This is finished with a beautiful PU black and pink bow.